Editor’s note: Bayram Balci is a researcher at CERI Sciences-Po in Paris and a visiting scholar in the Middle East Program at the Carnegie Endowment for International Peace. The views expressed are the writer’s own. The recent disclosure of tapes allegedly implicating Prime Minister Recep Tayyip Erdoğan in a massive corruption scandal is the just the latest development in Turkey’s ongoing political crisis. But even as the rivalry between an increasingly autocratic prime minister and the shadowy Gülen movement deepens, there could yet be light at the end of the tunnel. A previous, uneasy, coalition between the AK Party and the Gülen movement – led by U.S.-based preacher Fethullah Gulen – started to implode in December following the surprise arrests of the sons of three cabinet ministers over claims of bribery and the rigging of state tenders. 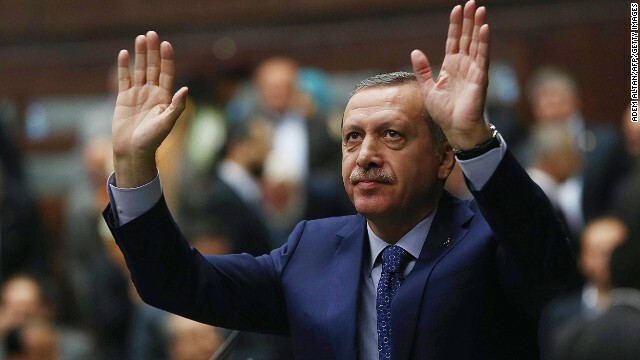 Undermined by widespread criticism and high-profile court cases, Erdoğan has raised the specter of a political plot being fomented from the United States. With Gülen’s supporters issuing arrest warrants and investigating alleged corruption among Erdogan’s allies, the prime minister has used suggestions of a plot to justify purges and political reshuffling within the police and judiciary. But Erdoğan’s drift toward authoritarianism predates December’s arrests, having begun in earnest in 2011 only to intensify over the past year through internal purges, attempts to muzzle the media and, arguably even more seriously, through efforts to impose tight executive control over the judiciary. With the political opposition in Turkey weak and fractured, the Gülen movement is, by default, now Turkey’s main opposition power. Its supporters in the media, particularly Zaman and its English edition, Today’s Zaman, have consistently criticized government moves to stifle corruption probes, and their calls for greater transparency have undoubtedly benefited democracy in the country. Yet despite these seemingly honorable principles, questions remain about the nature of the Gülen movement, its operations – and its intentions. Despite promoting peace and religious dialogue, the inner workings of the Gülen movement remain relatively opaque, and the professed loyalty of some officials to Gülen rather than to public service has raised questions about the movement’s ultimate aims. Indeed, it is difficult not to wonder whether civil servants sympathetic to Gülen that have infiltrated the police and judiciary are acting out of a commitment to democracy and the integrity of these institutions, or in the interests of a specific community. Regardless, the private struggle between Erdoğan and Gülen is overshadowing debate on key issues confronting the country, and is undermining Turkey’s fragile democracy by shutting the Turkish public at home out of the conversation. Yet this anti-democratic rivalry could ultimately still end up leading to greater social harmony in Turkey, especially if Gülen’s movement can demonstrate that it is truly a social force, rather than a religious movement with political aspirations – one dedicated to education, spirituality and dialogue. Doing so will require greater openness and transparency, but would reflect a realization and acceptance within Gülen’s movement that despite decades of military oppression in Turkey, times have indeed changed. In the meantime, though, the dispute between Erdoğan and Gülen reflects the reality that both forces have lost sight of their mission and responsibilities to the Turkish people. By interfering in the people’s private affairs, for example by vowing to shut down Twitter, the AKP has ceased to be a responsible political power. And by apparently nurturing increasing political ambitions, the Gülen movement has left the realm of social philosophy, raising understandable questions about its true motivations. If these two forces can return their focus to their original spheres and responsibilities – the AKP to improving the day-to-day lives of Turkey’s citizens and Gülen’s movement to offering spiritual guidance and social progress – then Turkish democracy would be the better for it. And they might both save themselves from self-destructing in the process. Some genuinely quality blog posts on this internet site, saved to bookmarks.